I’ll provide a more in-depth technical update over the weekend, but just some quick thoughts and perspective as we are witnessing this melt-up during this OPEX week. My main message: Stay Alert. Markets are back inside the consolidation range they broke below last December. What crash? What correction? It’s as if nothing has happened. But actually a lot has happened. Economic data has continued to slow across the globe and the US. The government is on week 3 of a shutdown with no apparent end in sight shaving off 0.1% of GDP growth per week and plenty of companies, including $AAPL, have come out and have warned about their outlooks for 2019. One red candle in all of 2019. 11 blue candles in a row. So what has changed? Two things and two things only: January 4th. China intervened and has since proceeded with record liquidity injections and Jerome Powell and every FOMC central banker thereafter has promised flexibility and patience. That’s it. While the macro backdrop has worsened the central bank two-step has once again changed the price discovery dynamic to nothing but up. “We’re going to have a fairly significant slowdown in the economy, in earnings, in attitudes and everything…slower growth is the ticket to extending this recovery and its bull market… if price and wage pressures, were to stay at bay, the Federal Reserve could stay on the sidelines, and follow through on Fed Chairman Jerome Powell’s promise earlier this month that central bankers “will be patient” on interest rates given continued muted inflation”. 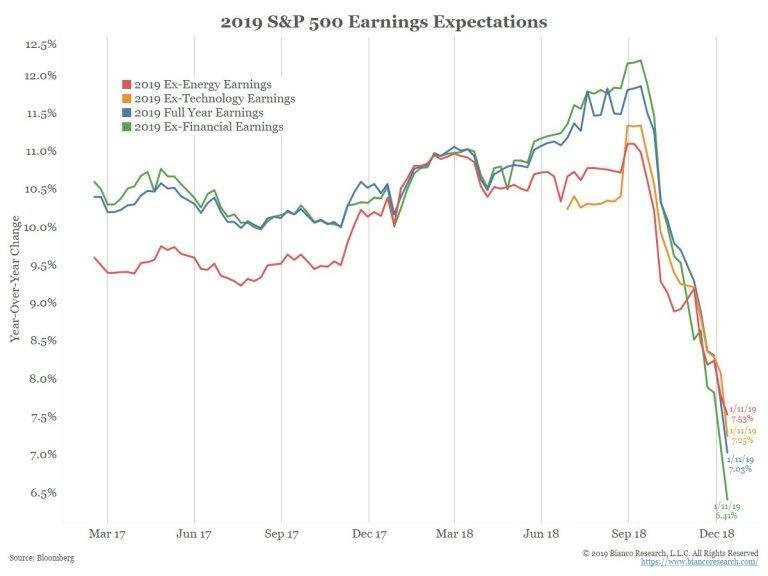 There’s been a barrage of people who did not predict the 20% crash in Q4 come out and state why the slowdown is good news. Their principle rationale: The Fed. Why then pretend anything else matters or has ever mattered. It’s not about earnings or growth or anything. Expanding growth is bullish. Slowing growth is bullish too. Got it. And that is the reality we are now again facing: Nothing matters. Hence good news is good news and bad news is good news, in short all news is good news whether it’s real or not. Case in point: Numerous China headlines indicating positive news to come. How many times have we heard this in the past year? Maybe it’ll happen and if it does a rally may well be justified. But again, it hasn’t happened yet and there’s still no definitive evidence that it will. Hence I like data, it stares you in the face and gives unemotional context as to where we are. 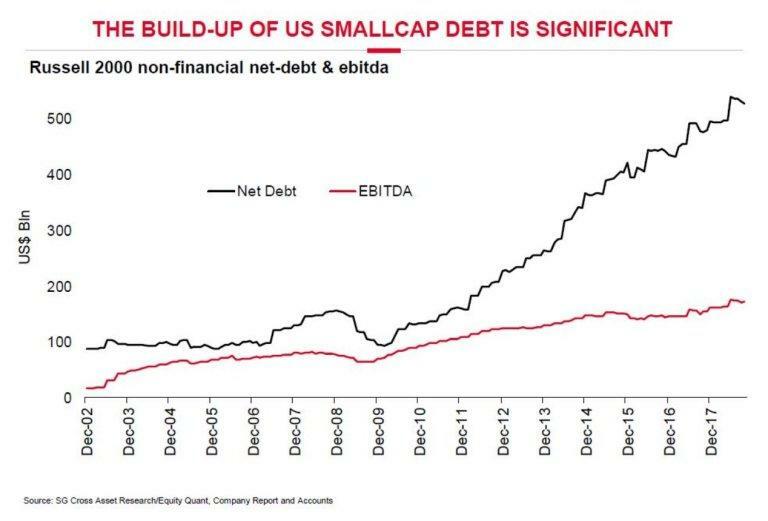 The corporate debt bomb keeps on ticking and business models that wouldn’t be able to sustain themselves during any other period are staying alive as long as rates stay historically low and hence markets are reacting to a Fed being suddenly being patient. The can is kicked once more. 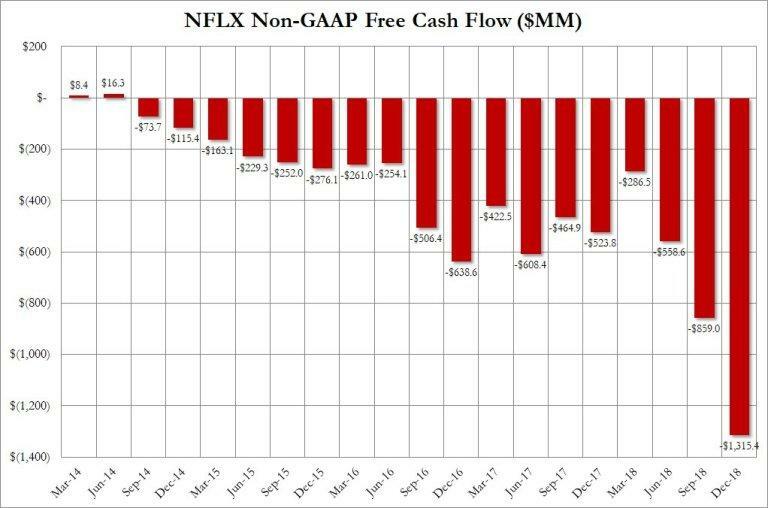 And that’s why I presume participants are not freaking out over a $3B cash burn rate for $NFLX in 2019. Yet nothing that’s happening on the price front now is unexpected, perhaps the one sidedness of it all, but not the destination. One can’t predict the future, but markets can be predictable sometimes. So nothing that’s currently happening is unexpected in terms of the technical reconnect picture. Indeed it all fits with the structural script I outlined in December mentioning the 2000/2001 market structure. 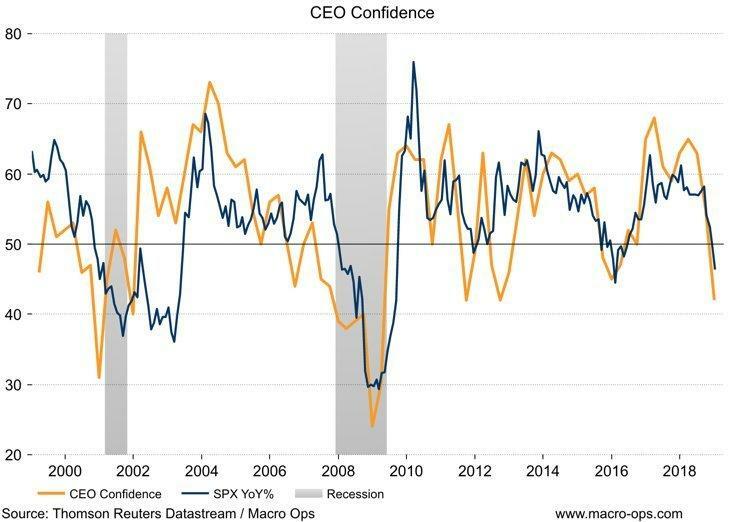 A blow-off top early in the year, a yearly low in the December of that same year and then a big rally into January right into a slowing economy with risks of recession rising. What happened then in 2001 after the big rally in January when everybody got bullish again and declared the lows to be in? 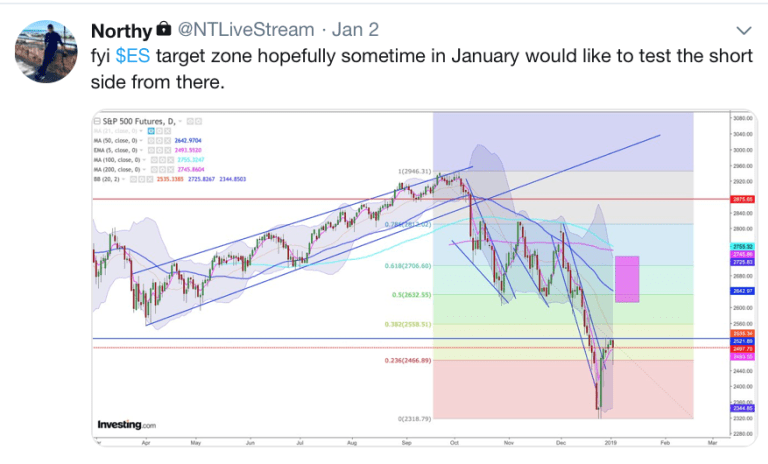 Back then it was a 10% rally into the December highs and then it was lights out with new lows coming a month later and again the following month. 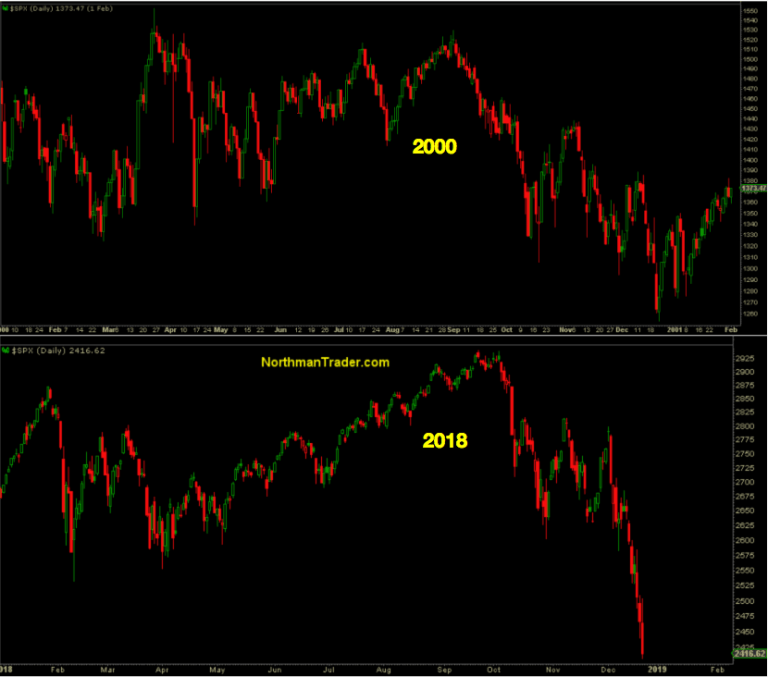 Each market is different, and we may not see new lows, but I can note some distinct similarities between then and now. 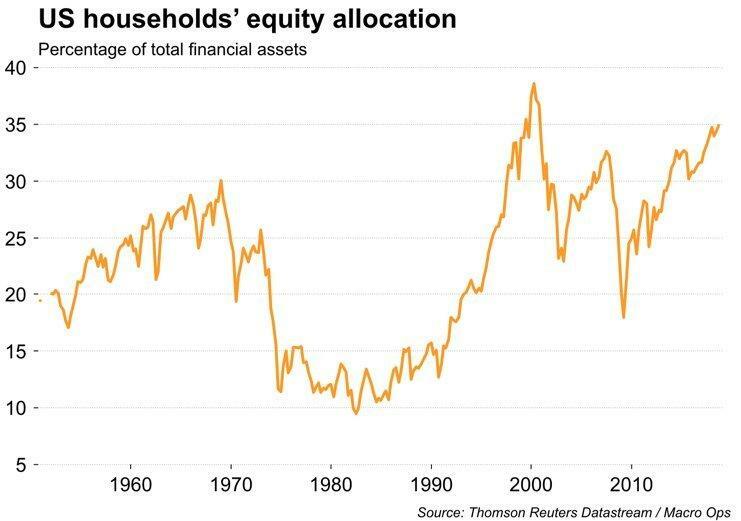 So before everybody declares victory and thinks happy days are here again all that’s changed of substance so far is mostly talk by central bankers and liquidity injections by China. Perhaps that’s enough and that’s all that’s needed, but be clear the larger macro environment has worsened, not improved, hence my view remains: Stay Alert. More this weekend.